When your life gets hard and you feel overwhelmed, you can tell yourself, “Well, at least I don’t have it as tough as Zerubbabel.” That man was the governor of Judea, whose monumental task it was to rebuild the shattered nation after the Babylonian armies’ terrible destruction and after 70 years of neglect and abandonment. Judea was burned, broken, and choked with weeds. Zerubbabel was all too aware that he lacked both the people and resources to do this impossible job. 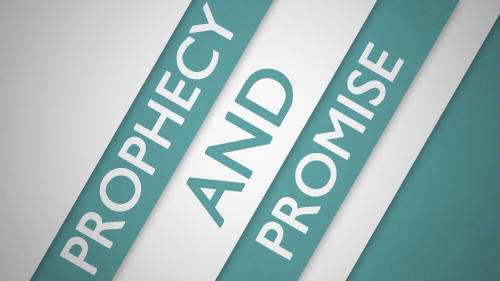 The prophet Zechariah was commissioned to remind Zerubbabel that God always equips the people he calls. “This is the word of the Lord to Zerubbabel: ‘Not by might nor by power, but by my Spirit,’ says the Lord Almighty” (Zechariah 4:6). Do you know what that means for you? Since the Spirit is living in you, you have greater strength than you think. You are wiser than you think. You know what else? Zerubbabel got the temple rebuilt.